The holiday shopping season is about to move into high gear. Michigan Retailers Association spokeswoman Meegan Holland says a recent survey shows store owners are very confident going into Black Friday. The National Retail Federation predicts 164 million people will shop over the Thanksgiving holiday weekend, both in-person and online. 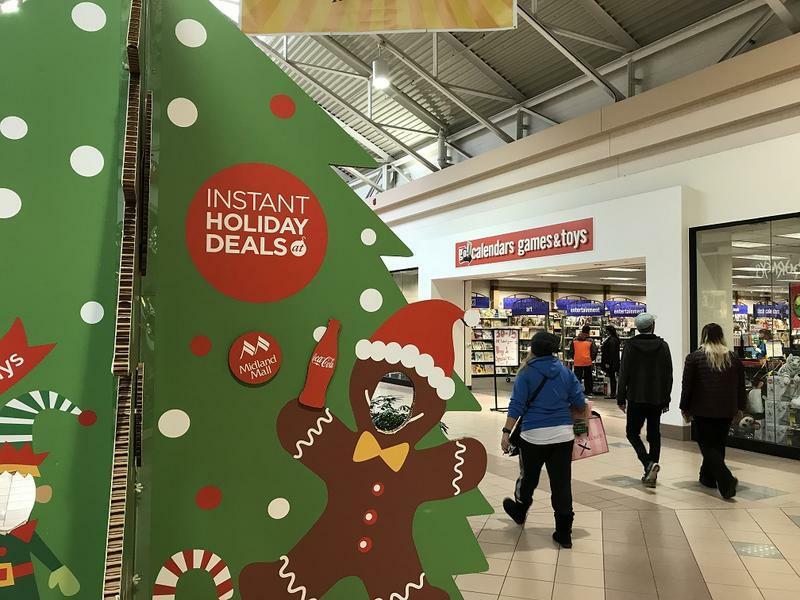 Retailers will once again offer big deals and early hours to lure shoppers into their stores for the start of the holiday season. But they'll also try to get shoppers out of their stores faster by minimizing the thing they hate most: long lines. Walmart, Target and other large retailers are sending workers throughout their stores to check customers out with mobile devices. At Macy's, shoppers can scan and pay for items on their own smartphones. Just like the Grinch, identity thieves and other scammers are ready and waiting to squash the joy of the holiday season. However, Michiganders can reduce the chances of becoming a scam victim. Stateside's conversation with Tom Valen, dean of the Charles W. Howard Santa School, and state archivist Mark Harvey. So said the founder of the Charles W. Howard Santa School in Midland, Michigan.